Come practice speaking English in a casual and comfortable setting. Volunteers will lead the sessions. 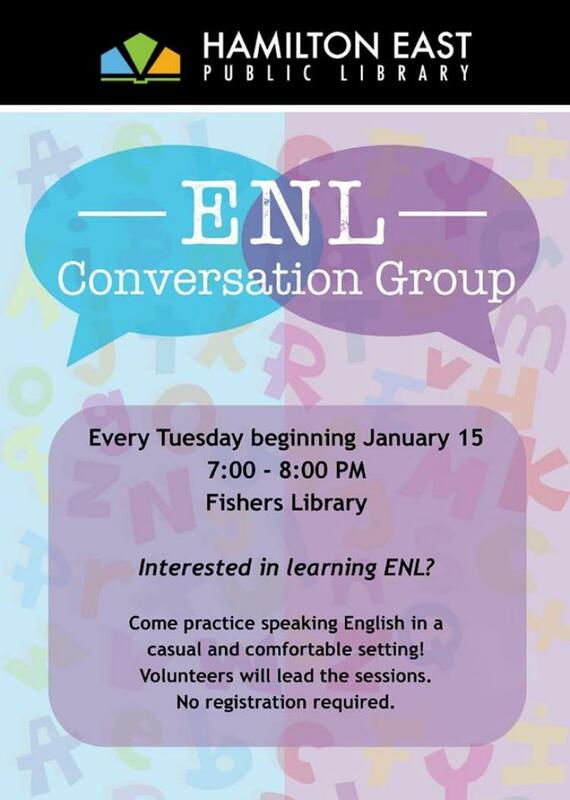 Meet Tuesdays at the Fishers Library. Registration not required. Contact the library directly for more details or questions. *ENL stands for English as a New Language.